Inspired by the Renaissance architecture of the famous Olimpic Theatre in Veneto, the Olimpia bag is the epitome of essential elegance. 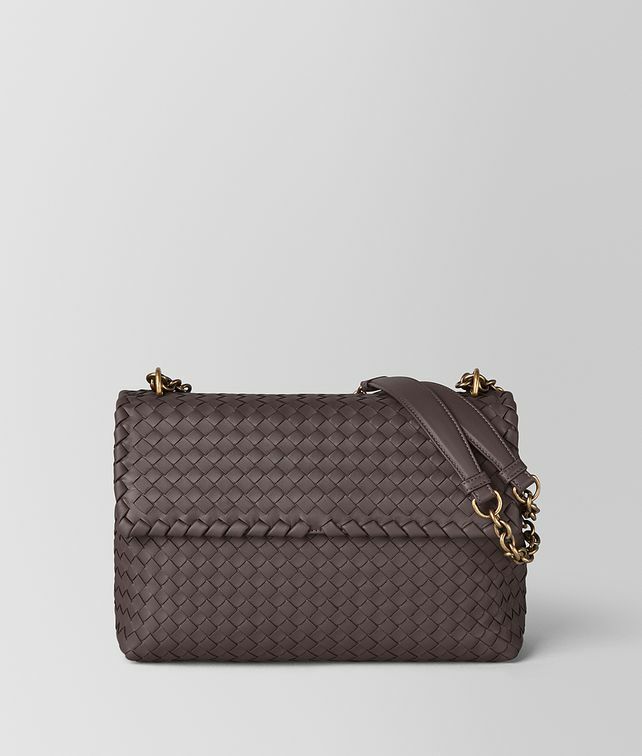 Crafted in soft interwoven nappa, it features a square-shaped flap with a magnet closure. The suede-lined interior is divided into two compartments and fitted with a zip pocket. Adjust the gold-tone chain and leather shoulder strap to wear the bag cross-body. Height: 21.5 cm | 8.5"